Mike Waters is Director of Policy, Strategy & Innovation at Transport for West Midlands, a department which also incorporates TfWM's research and data services activity. 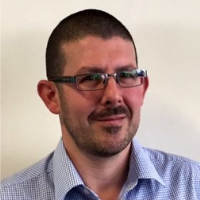 He is responsible for establishing many of the collaborative public environment Intelligent Mobility projects and connected vehicle projects in Coventry and across the West Midlands; and sits on the Meridian CAV Hub Advisory Board and the Board of the Transport Knowledge Hub. Mike is also embedded in Coventry University’s Future Transport and Cities Research Institute and is focused on privacy concerns in Connected and Autonomous Vehicles.